OK – let’s backtrack in my story. 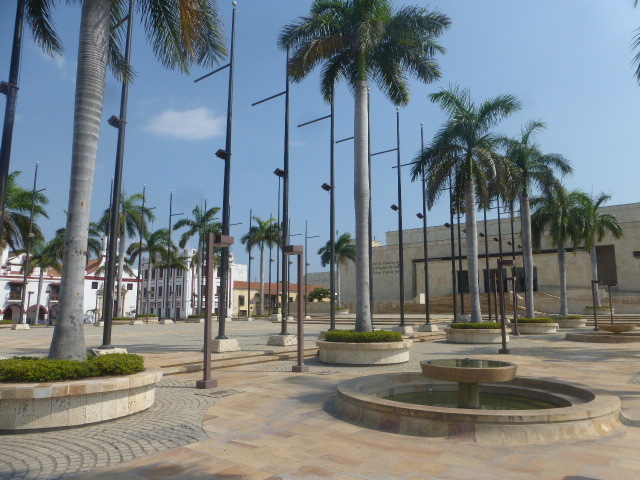 After Emy, Lio and I finally ran out of time cavorting on the Caribbean coast of Colombia and I survived my attempted mugging unscathed, I returned to Cartagena. Originally I intended to just stay a couple of nights as I had already spent almost a week there previously. My hostel of choice (the Mamallena) was full so we found another in the same street. This one had a totally different vibe to the Mamallena – it was small and charming and run by a lovely family. I opted for the cheapest dorm without air con, but it comprised just one set (or should that be pile) of bunk beds and I ended up having it all to myself for the majority of my stay. It seemed that the French were in town that week andwhilst it was very sad to finally say goodbye to Lio after some big adventures I was still surrounded by those wicked French accents and gallic humour. 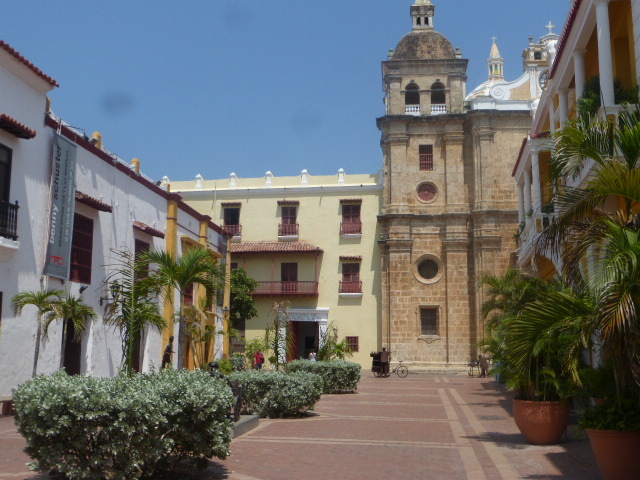 So why did I linger so long in Cartagena? For the same reason that I lingered in Medellin and Amaga, Cuenca and Santa Marianita. The people that I met. 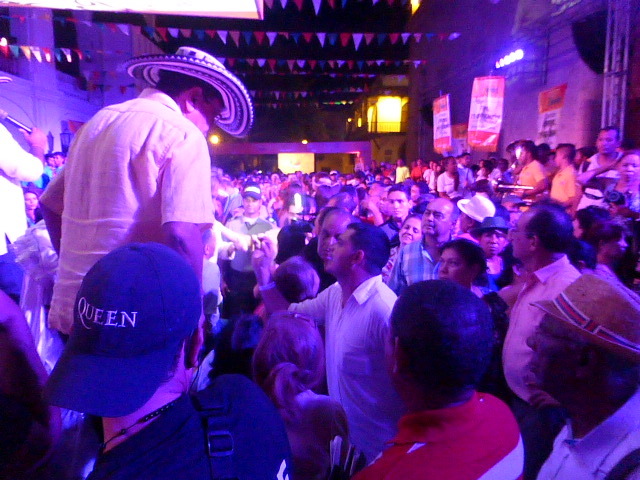 And in Cartagena I got my mojo back. The place has a laid back Caribbean vibe and it was too hot to go charging about. The food is a bit different, the rum flows freely and the architecture is stunning. The buildings and the people and the lifestyle reminded me very much of Cuba – hot steamy nights and life lived to thumping beats of salsa and rum. As I was working at my laptop in the tiny little common area of the hostel a traveller from Poland (Luna) arrived one morning following her five day sail boat from Panama. I greeted her and as I told her that the hostel was like a little family home there was one of those moments when you just know that you will click with someone. And in Cartagena we all just kept clicking. A couple from South Africa were travelling and were one reason that I didn’t move on – Dirk was an inspiration as he worked away on his laptop and I would often emulate him and work on mine. Many times I wanted to give up and get out in the sunshine but it is a lot easier to work in an ‘office’ environment with others – even if that office constitutes a bean bag or the local coffee shop. Sune, Dirk’s wife also worked too – she was volunteering in the hostel and when she wasn’t cleaning or cooking she was sketching or writing a book. There was Don Pedro and his wife Celis, Quitto who had hidden talents as a tailor and a frazzled Fin who was sick and was holed up in one of the rooms. There were the guys from Mexico and Argentina and as I have already mentioned, a steady stream of French men, some amazing local dancers and the dashing Danny. I met up again with another incredible Dani – we had originally been friends in Medellin. 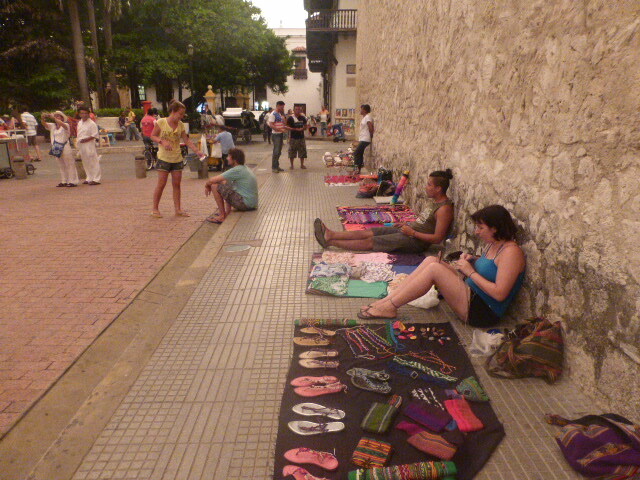 She and her partner were Argentinian and were heading steadily north, he playing his drums and she making and selling beautiful sandals and bracelets. Another beautiful couple, full of strength, love and generosity I was so happy sat on the street just being with them, doing my best to chat as they plied their wares or jammed with other musicians on a street corner or in a square. Myself, Luna and Canela from the States hit it off and we formed our little gang of three in which we inspired, encouraged and supported each other. We perched high up on the ancient city walls overlooking the sea and chatted long into the night as the warm breeze swept off the sea or we sat in a line on the doorstep of the hostel, emulating the prostitutes who sat on the doorsteps all along the road opposite. We went into the clubs and pubs and danced until four am, taking lessons in reggaeton from local women – grinding and swirling sandwiched between them and then champeta lessons from the men. We felt the rhythm of life swaying and moving with Danny on the roof terrace and another night we went along to Don Pedro’s birthday party where we salsa’d and shook our stuff in his home with his neighbours and family. We shared our dreams and worries and told each other that we were beautiful. None of us wanted our time here to end and we would have deep and meaningful conversations or just sit in contented silence happy to just be. We jumped on the local bus and went to a local beach where we were the only non- Colombians around. We sat in Plaza de la Trinidad at two in the morning drinking rum and coke out of the plastic cups so thoughtfully supplied at the corner shop and one day we sat fully clothed in a rainstorm on the roof terrace for an hour not wanting to interrupt our conversation. One night we had a cocktail party at the hostel and Dirk spent a couple of hours making coconut milk for the pina coladas from real coconuts which proved to be a lot harder than the recipes on the internet stated and another night we pulled mattresses onto the roof terrace and opened every door and window when the power cut out and the fans and aircon went off whislt the thermometer climbed above thirty four degrees. 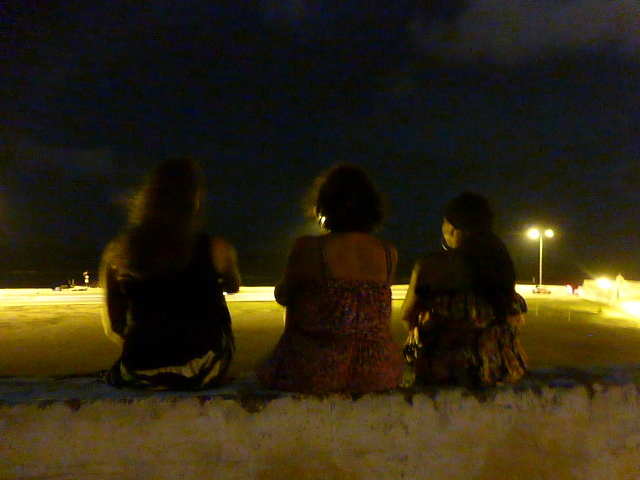 Thanks to these incredible people that I met in Cartagena I FINALLY began to believe in myself. After ten months on the road I knew that I had been right to give up my apartment and my posessions, my job and my car. I was comfortable living in hostels and sharing dorms and food with strangers. I was no longer afraid of the dark or crowds or twisty mountain roads. I would get up and dance in a restaurant when invited and I could find my way back to my hostel all by myself at four in the morning through streets lined with prostitutes and sleeping drug addicts. I could handle a conversation with a stranger or a bus driver in Spanish, I was more than happy visiting a museum or a restaurant alone and I was finally managing to live with events from my past life that I was unable to change. Cartagena the second time around was like living in a surreal bubble. Friendships and conversations had an intensity and an urgency yet life was slow in the heat and humidity. 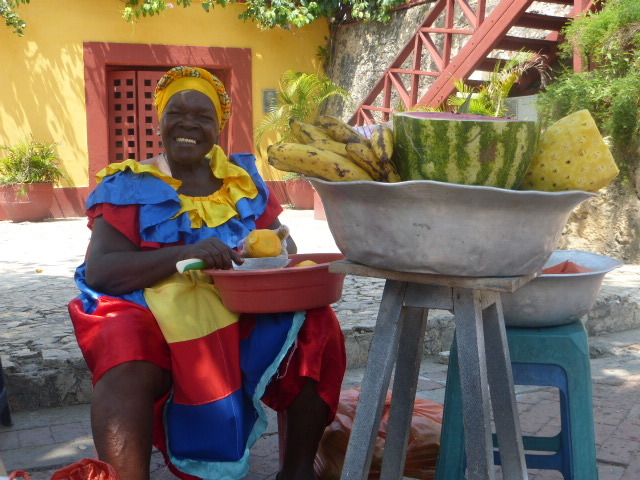 None of us felt any desire to move onwards and out of Cartagena but we knew that our visas wouldn’t last for ever. We vowed to keep in touch and to be there for each other. Our teacher – he understands life through feelings , through touching, biting, smelling, seeing. He explains the world, the life through the original basic instinct to live…. to survive, to go forward and yet dance. Beautiful post… it’s wonderful how traveling heals and rejuvenates you. 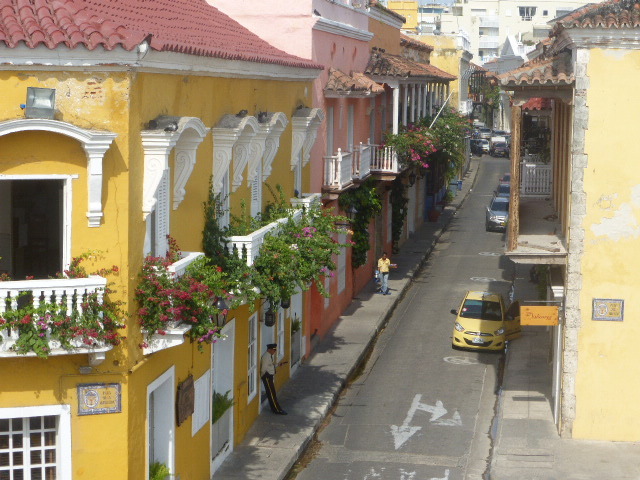 And I’m headed to Cartagena next month! Can’t wait! 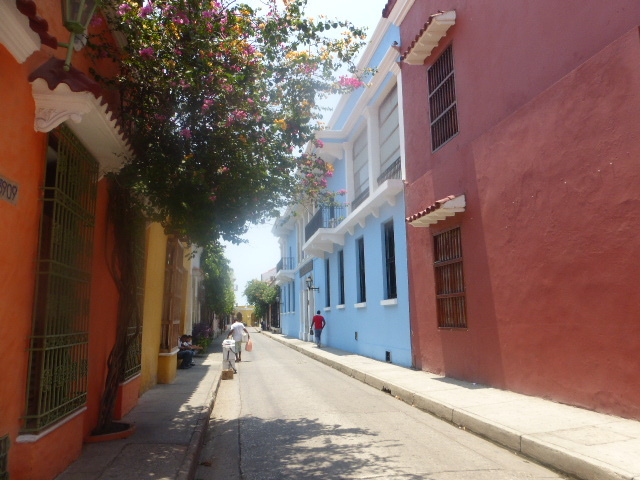 I think you captured our time in Cartagena with this post. Reading it brought up many happy memories. It was a magical place where everyone just got stuck in time.